There are many kind of bicycle types we can find all arround the world. Bicycle types can be categorized by various versions. 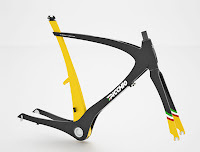 The list below gives an overview of different types of bicycle, categorized by function, by construction or frame type, by gearing, by sport and by means of propulsion.This is an incomplete list, which may never be able to satisfy particular standards for completeness. * Common (utility) bicycles are used for everyday use in commuting, shopping and running errands. * Mountain bicycles are designed for off-road use and are equipped with more durable frame, wheels and suspension systems. 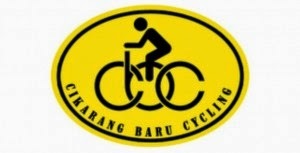 * Racing Bicycles are designed for competitive road racing. Their need to achieve high speeds requires them to be made from very light materials and to have almost no accessories. * Touring bicycles are designed for long journeys. Their standard equipment consists of comfortable seats and wide range of accessories that help with carrying portable small baggage. * BMX bicycles are designed for stunts and tricks. They are often built with small light frames and wheels with wider, treaded tires that provide better grip with road. * Multi Bike is designed with sets for two or more riders. Largest bike of this type can carry 40 riders. * High-wheel bicycle (better known as “penny-farthing”) is an old-fashioned type of bicycle that was popular during 1880s. It featured main large wheel, and secondary small wheel. * Pright bicycle (or common bicycle) that has the traditional design in witch driver sits in the seat between two wheels and operate the pedals. * Prone bicycle in which driver is lying is used in some high-speed sport competitions. * Folding bicycle can be often seen in urban environments. It is designed to have small and light frame. * Exercise bicycle is designed to remain stationary. * Electric bicycles are equipped with small electric motor. User has the option to either use pedals or to coast using the power from the engine. * Single-speed bicycles are used on all common bicycles and BMX’s. 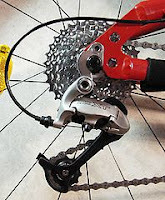 * Derailleur gears are used in most of today’s racing and mountain bike bicycles. It can offer from five to 30 speeds. * Internal hub gear is often used in common bikes. They provide from three to fourteen speeds. * Chainless bicycles are using driveshaft or a belt-drive to transfer the power from the pedals to the wheel. They often use only one speed. - Time trial bicycles are road bicycles with an aerodynamic features that are not permitted when the racers ride as a group, such as aero bars and a disk rear wheel. - Triathlon bicycles have seat posts that are closer to vertical than the seat posts on road racing bicycles. This concentrates the effort of cycling in the quadriceps muscles, sparing the other large muscles of the leg for the running segment of the race. Triathlon bicycles also have specialized handlebars known as triathlon bars or aero bars. * Track bicycles are ultra-simple, lightweight fixed-gear bikes with no brakes, designed for track cycling on purpose-built cycle tracks, often in velodromes. * Cyclo-cross bicycles are lightweight enough to be carried over obstacles, and robust enough to be cycled through mud. * BMX (bicycle motocross) bicycles have small wheels and are used for BMX racing, as well as freestyle with tricks such as wheelies. Freestyle BMXers often ride dirt jumps and skatepark ramps, or in street-style BMXing where a rider navigates through a course of stairs and metal rails. - Bike trials riding is a form of off-road cycling derived from motorcycle trials where one slowly negotiates man-made and natural obstacles. - Downhill bikes are a specialized type of mountain bike with a very strong frame, altered geometry, and long travel suspension. They are designed for use only on downhill courses. 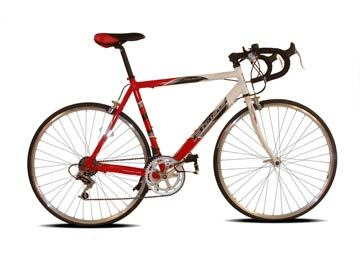 - Freeride bicycles in this category usually have very strong frames and dual-suspension with travel of six inches and up. They tend to have a shorter wheelbase than downhill bikes but otherwise have very similar geometry and components. Whereas downhill racers tend towards strong and light components, extreme freeriders tend not to worry about weight as much as strength of materials so it can withstand the huge drops and gaps that they typically perform. * Artistic cycling bikes are used to perform tricks (called exercises) for points in a format similar to ballet or gymnastics. - A pedal cycle, commonly known as a bicycle is driven by legs and feet on pedals. - A hand-cranked bicycle or hand cycle is driven by arms and hands. 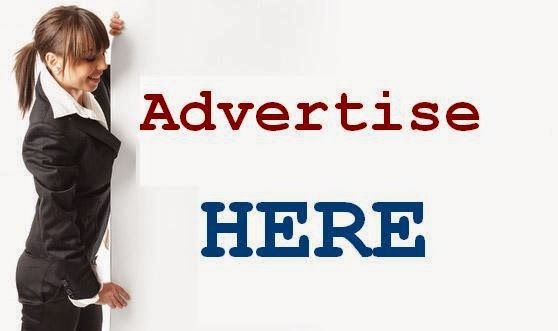 - A rowing cycle is driven by a rowing action using both arms and legs. - A treadle bicycle is driven by a reciprocating, not rotary, motion of the feet. - A balance bicycle (a kind of velocipede) and a Footbike use Flintstone power, as the rider pushes themselves along with one or both feet on the ground. - A caster board or a Trikke is driven forward by pushing a wheel approximately perpendicular to the direction of travel. * An amphibious bicycle has paddles and wheels to facilitate operation on both land and water. - An electric bicycle is primarily propelled by the rider; although this is assisted by the use of an electric motor, usually located in the hub of the front or rear wheel. The electric motor is powered by a battery which is secured to the frame. These are available in various technologies including lead acid, nickel cadmium, nickel metal hydride, lithium ion and lithium polymer. Many of these are not classed as a motor vehicle, but as a bicycle if they comply with UK and European regulations. - A moped propels the rider with a motor, but it usually includes bicycle pedals for human propulsion.